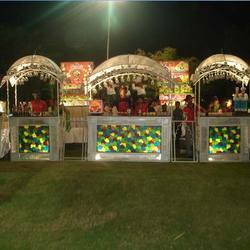 We are a leading Manufacturer of buffet display counter decorations and buffet counter decorations from Jaipur, India. We are completely engaged in offering a wide range of decoration for the Buffet Display Counter Decorations in the market. The raw material used in the decoration of these counter are obtain from the trusted vendors of the industry to maintain its strength and durability. We are offering an excellent quality range of Buffet Counter Decorations in the market. The best quality raw material are used in the decoration of these Buffet Counter. 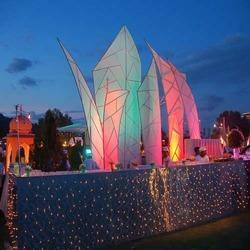 The new design decoration are offered by us at market leading prices. Looking for Food Counter Decorations ?